EdX vs. Coursera: Which MOOC Platform is Better? More than 50 million learners worldwide are using video lectures for digital learning. We have taken a close look at the two biggest MOOC-providers. MOOCs (massive open online courses) promise free and flexible access to education. With more than 50 million users, Coursera and edX are the giants among the MOOC platforms. Who exactly are these providers? And which one is better? Coursera was founded in 2012 by two Stanford professors. With more than 37 million users it is the largest MOOC platform worldwide. In cooperation with universities and companies, Coursera offers a broad spectrum of online courses which ranges from computer science to personal development. More than 150 partner institutions, among them elite universities like Yale, Stanford and Princeton, provide high calibre courses. Coursera is financed by private venture capital funds, so the course provider has a clear profit orientation. More and more course content gets hidden behind a paywall. Coursera is expanding its offers for corporate customers. Via company accounts it can win many customers at one go. In spite of this, a lot of content is still available free of charge. And individual learners find thousands of free video courses for self-study. Like Coursera, edX was founded in 2012 by the elite universities MIT and Harvard. But in contrast to Coursera, edX is operating on a purely non-profit basis. 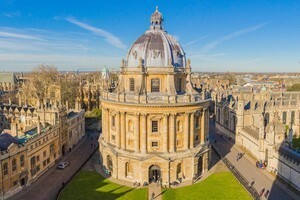 More than 100 renowned partner universities are offering courses for about 14 million edX-learners, among them are the universities of Oxford, Zurich and London. EdX operates similarly to Coursera. There are free and paid course series. In addition, learners can use the credits of some courses towards a master’s degree at one of the cooperating partner universities (MicroMaster). What are the most significant differences between Coursera and edX? Topics: Both platforms offer a diverse range of subjects. However, Coursera focuses more on professional training, for example computer science and business degrees. EdX offers numerous courses in the humanities and the natural sciences. Costs: Both portals offer audit versions free of charge. Only the certificate track requires payment. Coursera increasingly focuses on paid course series (specializations). These course series are not always available for free (see also: "How to Find Free Online Courses"). Certificates: Both, Coursera and edX, offer certificates. This requires a verification process which includes an electronic ID control. Sometimes, edX takes longer to complete this process. Also, the wide range of course formats and certificate options can be quite confusing for new users (see also: "Are the certificates worth it?"). Availability: Coursera repeats its courses quite regularly, so there is virtually no waiting time between the starting dates of the courses. EdX, on the other hand, "archives" its courses over lengthy periods. Archived courses can still be watched, but no certificates can be taken anymore. Website navigation: Both websites are quite user-friendly. Some customers have reported that the page navigation of edX appears more cumbersome. Offers for businesses: Both platforms have special offers for businesses. By now, edX and Coursera have become the most important providers of digital professional training ("The most important E-Learning Providers for Companies"). Coursera and EdX are the two frontrunners among the MOOC providers. In both cases, the courses go into much depth and are created by some of the most renowned universities in the world. Which of the two is the best provider cannot finally be decided. Every judgement depends on your personal learning objectives and on the attended course. We therefore recommend that you test the courses that you are interested in simultaneously on Coursera and on edX using the free version. Also consider user reviews for orientation. There is one point of criticism relevant for both providers: Coursera and edX leave you pretty much on your own. An individual 1:1-coaching which is offered for example by Udacity is not yet available from these providers. In our course directory, we list thousands of video-based online courses, MOOCs, and online lectures from 22 subject areas. You can also search for courses that offer certificates. With our Course Manager, you can organize your online learning across various providers. Are you interested in online learning? Subscribe to our newsletter here, and follow us on Facebook or Twitter!